Todd Poole, the founding member of Poole Huffman, has always been an entrepreneur. It has helped him to understand that litigation is more than just the strength of the case or the desire for justice; it is a business decision. Todd represents businesses and business people in disputes - typically breaches of contract, partnership breakups, landlord-tenant issues, and commercial collections. He has represented businesses in federal and state court jurisdictions throughout the United States. Todd has successfully represented businesses before juries and throughout the dispute process. Todd's experience with international firms and boutiques has allowed him to represent large and small companies in cases ranging from a few thousand dollars to $10 billion. 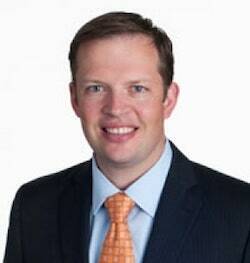 Todd was recognized by his peers as a member of the Georgia Trend Magazine Legal Elite in 2012, 2013, 2014, and 2015, and by Georgia Super Lawyers magazine as a Rising Star in 2014, 2015, and 2016.